There’s a type of magic one craves at Christmas: twinkles, a dusting of snow, mulled wine, animated children. 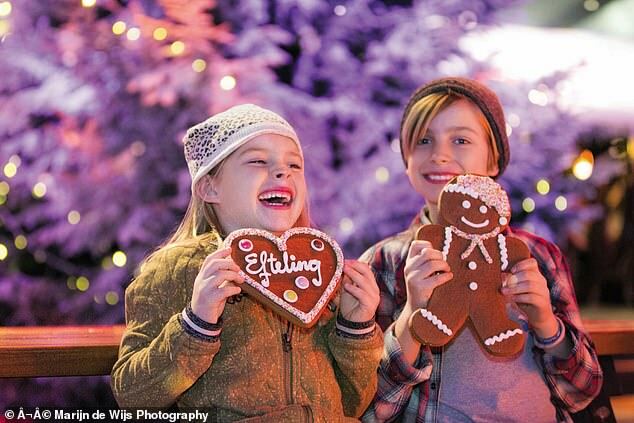 This is what inspired me whisking my partner and two young children off to Efteling, in Kaatsheuvel, southern Holland, a theme park built in 1952 peddling nostalgia, myths and fairy tales, which this year celebrates the 20th anniversary of its seasonal offering — Winter Efteling. For 11 weeks, from November 12 to January 31, the park is cloaked in frozen enchantment, furnished with hundreds of ‘snow’-covered Christmas trees and lit up by bonfires and thousands of fairy lights. Record numbers of Britons visited Efteling throughout this year, possibly due to the new direct Eurostar service from London to Rotterdam — or maybe they’re getting wind of the park’s singular charm. At five and two, my children, Walter and Malin, are not yet drawn to the roar of the rollercoaster — much to my relief — but there is still plenty to do. We bypass the Python, a scream-inducing loop-the-loop ride, and head to the Fairytale Forest, the park’s original attraction. It covers almost a quarter of the site and could be a day out in itself. Between the trees are 29 animated tableaux from popular stories by the Brothers Grimm, Hans Christian Andersen and Charles Perrault. We trundle past musical toadstools merrily blaring out Bach’s Minuet In G Major, and spy Pinocchio trapped inside a sea monster. Hansel and Gretel’s house even seems to waft out the scent of gingerbread. My son beams at a sinister-looking Big Bad Wolf wearing Grandma’s frilly nightie. Having promised my daughter fairies, we make a beeline for Droomvlucht, a dark ride billed as a dream flight through a world of fairytales. Our carriage whizzes up and around cliff-top castles and past trolls, sprites, and fairies on swings. The children squeak with laughter at a bare-bottomed goblin bathing in a swamp. The elaborate scenery and creaky animatronics are what sets Efteling apart; its vintage charm is everywhere, from the carousel dating back to 1895, to the steam train that hurtles around morning until night. The place has all of Disney’s magic, with none of its hackneyed jollity. Even the bins have been made into talking characters. 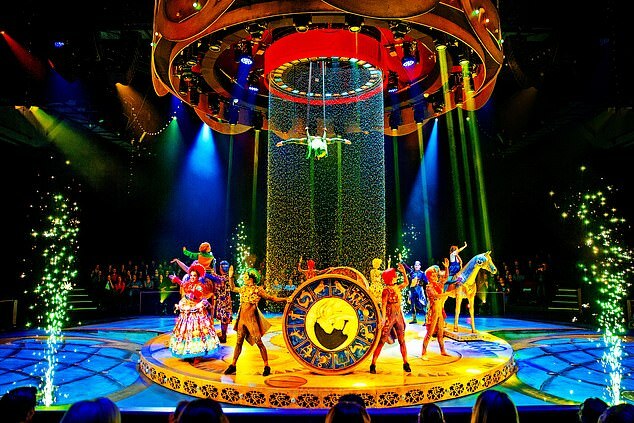 The main draw this season is a new theatre show, CARO, directed by Dutch actor and director Stanley Burleson and inspired by Efteling’s 100 year-old steam carousel. Bundling in out of the cold, we find our seats. The fact everything is in Dutch creates more mystery, but the show intentionally lacks dialogue in order to appeal to international visitors. It’s a riot of tomfoolery, outstanding choreography and a tear-jerking, but triumphant, story. In one scene involving fire, water and trapeze artists, my son whispers to his sister: ‘This is cool, isn’t it?’ High praise indeed for someone who reserves enthusiasm for spies and peregrine falcons. We stay at the Loonsche Land holiday village, comprising a central hotel and woodland huts, and only a short walk from the park entrance. Our family room has two mezzanine bunk-beds with curtains — perfect for playing dens. Overnight guests can enter the park half-an-hour before day visitors and access its newest and most popular family ride, Symbolica, via a secret entrance. We make our way through grand castle gates, complete with dry ice and creeping ivy. Inside, a jester welcomes us and the staircase magically splits in two. What follows is a swirling tour around the castle’s secret rooms, with feasting kings, overspilling jellies, tiered cakes, a treasure boudoir and a grand planetarium. Costing €35 million, it is the most expensive project ever at Efteling — and it shows. We end with Aquanura, a water show featuring 200 fountains, fire and giant spitting frogs. It’s the perfect finale to this festive family treat. Two nights in a five-person room in Efteling Loonsche Land Hotel from £426, including a two-day park ticket (efteling.com). Efteling is a one-hour drive from Rotterdam. Eurostar return from £139.50 (eurostar.com).